'S e cleasaiche à Èirinn a th' ann an Liam Neeson (An Baile Meánach, Contae Aontroma, 7 an t-Ògmhios 1952). Tha e ainmeil a thaobh na fiolmaichean Schindler's List (1993) agus Michael Collins (1996). S' e bantrach fhir na bhana-chleasaiche Natasha Richardson a th'ann cuideachd. Chaochail ise ann an 2009. Rinn Neeson fiolm mu dheidhinn Rob Ruadh MacGriogair. 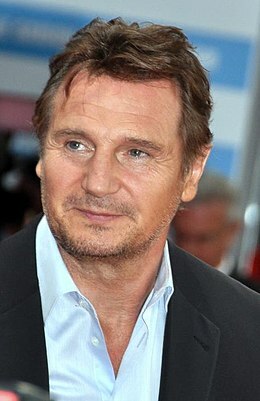 Air a tharraing à "https://gd.wikipedia.org/w/index.php?title=Liam_Neeson&oldid=535331"
Chaidh an duilleag seo a dheasachadh 3 dhen Lùnastal 2017 aig 12:42 turas mu dheireadh.